The 100 season 6 production has officially begun! We have many questions that we hope will be answered in the upcoming season. Specifically, 125. 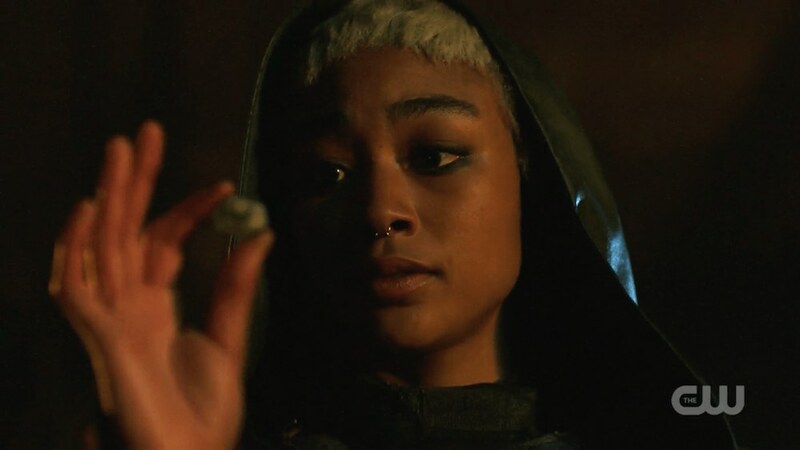 Six seasons in, and The 100 is graduating from Earth Skills, seeking higher things on a brand new planet. 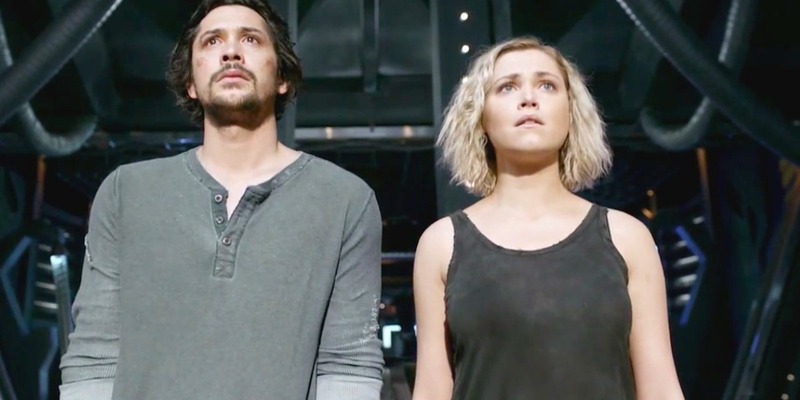 Where The 100 season 5 jumped ahead six years, this season ended with a whooping 125-year time jump — but this time, (almost) everyone was asleep for the duration, meaning that season 6 technically picks up the very next day for most of the characters. After leading them to their new home, a much older Monty and Harper left Bellamy and Clarke with a new friend, their already grown-up son named Jordan, and the words “be the good guys.” Now, we’ll see if what remains of humanity can live up to Monty and Harper’s legacy. But what exactly awaits them in this new world? What secrets do this two-sunned planet hold? We have a lot of questions. 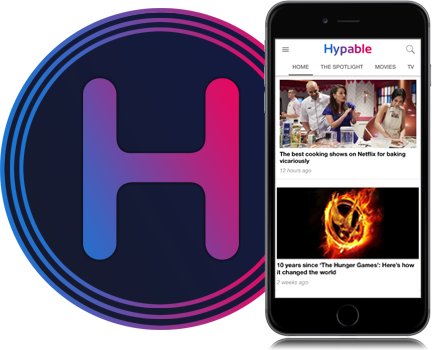 As has now become Hypable tradition, we present a list of 100+ questions — this time 125, in honor of the new time jump — that should keep us busy speculating until the new season premieres next year! Will Clarke, Bellamy and Jordan wake everybody up straight away, or only ‘essential personnel’? 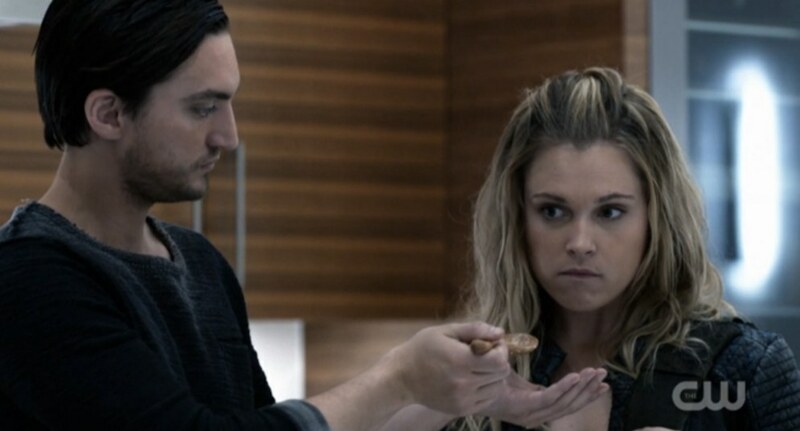 Was there a reason (beyond ‘they’re the main characters’) why Monty and Harper wanted Jordan to wake Bellamy and Clarke (as opposed to, say, SpaceKru) before anyone else? How long was Jordan awake before he woke up Bellamy and Clarke, and does he have any helpful information about the new planet? Since he grew up on Eligius IV, does he know things about the ship that even Shaw and Diyoza don’t know? Will Murphy still be Jordan’s favorite or will it be someone else? 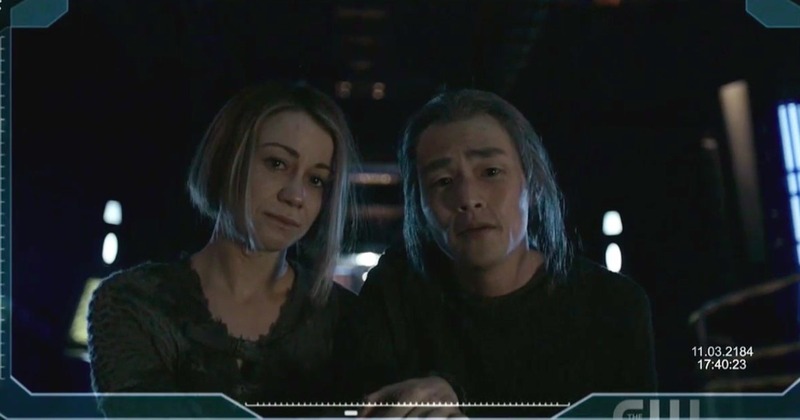 (How) will SpaceKru react to Monty and Harper, ~30% of their entire family, being dead? How will Jordan take after Monty and Harper? Will we recognize any of their mannerisms in him? Will the other characters be reminded of them when they interact with him? How will he react to being around so many people that aren’t his parents? Will Jordan and Octavia bond over their very similar isolated upbringings? Will Monty and Harper have a funeral/memorial service? Why did Eligius III never radio back? Did they actually find oil on the new planet? Are there other inhabitable planets in this binary star system? Will the planet be abandoned, or inhabited by a new faction of humans? Will the society our heroes encounter on the new planet — assuming there is a society at all — be a peaceful one? Will it look like Vancouver the City of Light? Will everything be what it initially seems, or will the planet/its people harbor a dark secret a la Mount Weather? Are the planet’s inhabitants aware that Eligius IV has entered their orbit? Are they prepared for our heroes’ arrival? Are the Eligius III descendants — if that is in fact who is on the new planet — the only humanoid species there, or was the planet already inhabited before they arrived? Will there be new forms of animals? Plants? Landmarks? Since there are two suns, will the days be brighter and/or the nights be shorter? Is the water drinkable? What do people (if there are people) eat? What do they wear? Does the planet have the resources to produce fabrics and materials like the ones we recognize from Earth? What does the food taste like? What do things smell like? Do the planet’s inhabitants have electricity? Technology? Weapons of mass destruction? And how advanced? Is there a form of mass media/information distribution system in place? Do they have books? Recorded history? Are all the planet’s inhabitants Nightbloods? If yes, will these Nightbloods be compatible with the Flame? 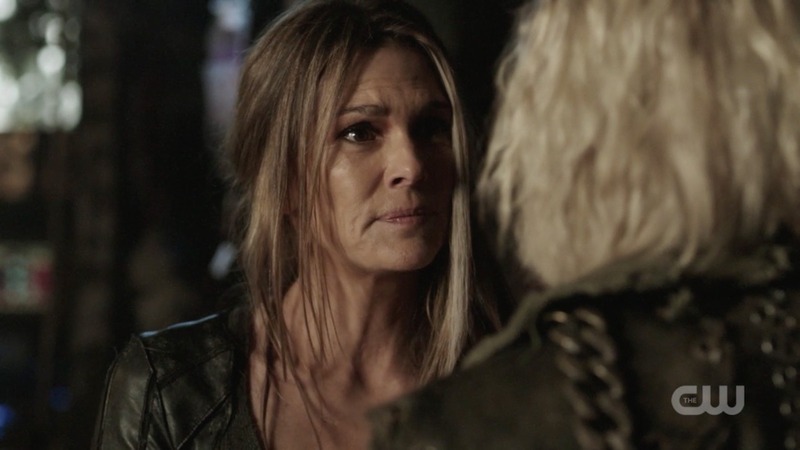 Do Abby and Clarke have to make everyone on Eligius IV Nightbloods as well in order for them to survive on the planet’s surface? How will the Grounders feel about this? Will Gaia set herself against it? Will Madi? Was it Madi or the Flame that wanted all the Eligius prisoners put to death in the season 5 finale? How will the prisoners have to ‘prove’ that they deserved to be saved? What would everyone being a Nightblood mean for the Commander succession protocol and/or potential future conclaves? Will the time of the Flame and the Commanders ever actually be past? How does the Flame work, anyway? Is an imprint of Clarke herself in there or not, since she did technically ‘ascend’ at one point? Will Clarke be okay with Madi positioning herself as a leader, or will she continue trying to ‘mama bear’ her? Is Clarke going to take an interest in leadership/other people again? Will Clarke stay with the main group this season or run off with an alien? More importantly: will they have friends to whom they can vocalize some of their complicated thoughts and feelings about everything they’ve gone through? Will any of the romantic constellations change this year or will the existing pairings continue to remain stationary? Will Murphy continue to feel the psychological effects of his six-ish-year isolation on the ring? Will it continue to impact his relationship with Emori? 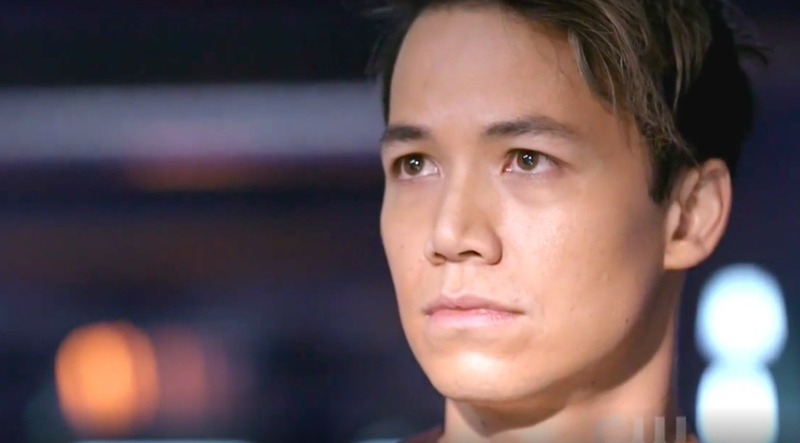 Will Echo and Bellamy stay together? Will Echo and Clarke team up and/or be BFFs? Will Miller and Bellamy reconcile their differences? Will Miller stand by Octavia even though she’s not the leader of Wonkru anymore? Will Miller and Jackson get more screen time in season 6? Will Jackson finally be recognized as the badass and competent doctor he is? Will Kane survive his coma? If yes, will Bellamy and Kane finally get their reunion? Will SpaceKru/Wonkru forgive Kane for screwing them over? How does Abby feel about being a grandma now? Will she and Madi actually develop a personal relationship with each other? Will there be time for anyone to get to know each other as people in season 6, and (re)establish emotional connections? Will Clarke feel guilty about electrocuting Madi, and actually apologize to her? Will Abby apologize for electrocuting Raven? Is their relationship damaged beyond repair? Will Raven and Clarke have an actual conversation? Will Bellamy and Raven interact in season 6 beyond the bare minimum? Will Bellamy and Shaw be best friends? Are there more of Monty and Harper vlogs lying around? WHAT WAS HARPER’S CRIME, oh my god just tell us. Is Raven’s new hairstyle canonically inspired by Harper’s? Will the SpaceKru friendships (Raven and Echo, Raven and Murphy, Emori and Bellamy, Raven and Emori etc) continue to matter and develop? Was anyone aside from Monty and Harper awake at any point during the 125-year period? Will Octavia and Diyoza stick together now that they’re both out of the leadership clique? Is Diyoza finally going to have her 200-year-old baby? Is she actually going to name it Hope? Is Abby going to help her care for it? Will non-plot-relevant but emotionally significant dead characters Wells, Jaha, Finn, Lincoln, Sinclair, Jake, Wick or ~Riley~ be mentioned? When is Roan coming back? Have we seen the last of Bill Cadogan? Did Becca do more for Eligius III than just develop the Nightblood solution for them? Is there ALIE-related tech on the new planet? 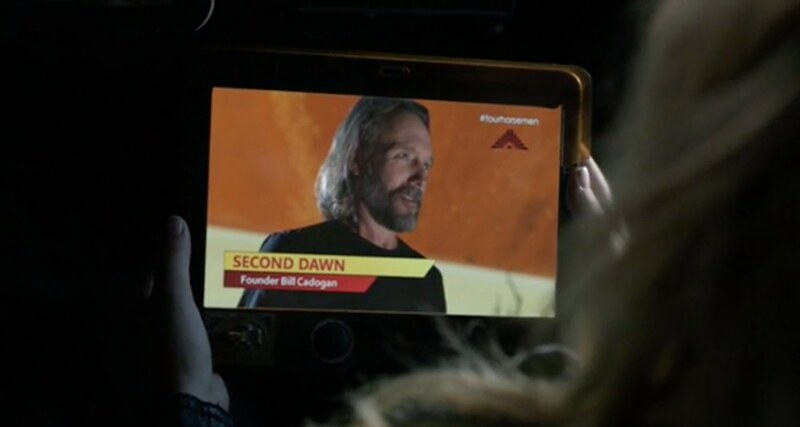 Did Bill Cadogan somehow know about this planet, and is that why his cult was named ‘Second Dawn’? Were any Second Dawn members a part of the Eligius III mission? Will we hear the words “from the ashes we will rise” again? What will Gaia’s role be as Madi’s official Seda? Will we learn more about past Commanders and the history of the Grounders through the Flame? Is Indra going to stay loyal to Heda Madi? Will Bellamy continue to serve as her unofficial advisor? What will Diyoza think about the this new/old power structure? And are some of the Eligius prisoners still loyal to her? 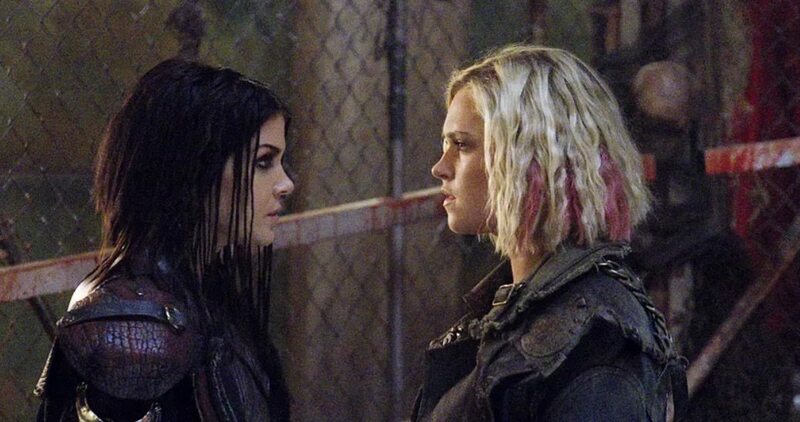 Will Octavia and Clarke talk about all those times they have been fully ready to murder each other? Will Octavia attempt to make amends with Indra, Gaia and Bellamy? Is she actually upset about Ethan dying? Is anyone? Will her urge to be ‘Blodreina’ continue to rise up in her, or is that part of her life truly over? Is Bellamy and Octavia’s relationship salvageable? Are Bellamy and Indra going to continue to develop their unexpected and beautiful bromance? Are Bellamy and Clarke ever going to talk about those radio calls? How DO they feel about each other, anyway? Will Madi attempt to Parent Trap them? Are Madi and Jordan going to be best friends? Is Jordan going to kill anyone, or will be remain the only non-murderer of the group? Speaking of murderers, is that foxy Eligius prisoner who was guarding Diyoza in the finale coming back? Is it possible that McCreary somehow survived??? Will we hear the Eligius prisoners reminisce about pre-apocalyptic Earth? Will there be a three-headed deer on the new planet? How about a Space Pauna? Will (some of) the 400+ humans on Eligius IV integrate into the planet’s existing society (if there is one) or will they remain their own separate faction? How big is the new planet compared to Earth? Big enough to have separate countries? Borders? Different cultures? Wars? Exchange programs? Do schools exist? Is there a justice system? Laws? Democracy? Who will be the last delinquent left standing? Will we ever find out what happened to Bryan and Wick? Is Reese Lemkin still alive? How! Did! Clarke! Know! Riley! Is Earth truly gone forever? How did the soccer ball survive the 125-year long journey?! Will The 100 finally get a new full main cast photoshoot and updated cast list on The CW website for season 6? 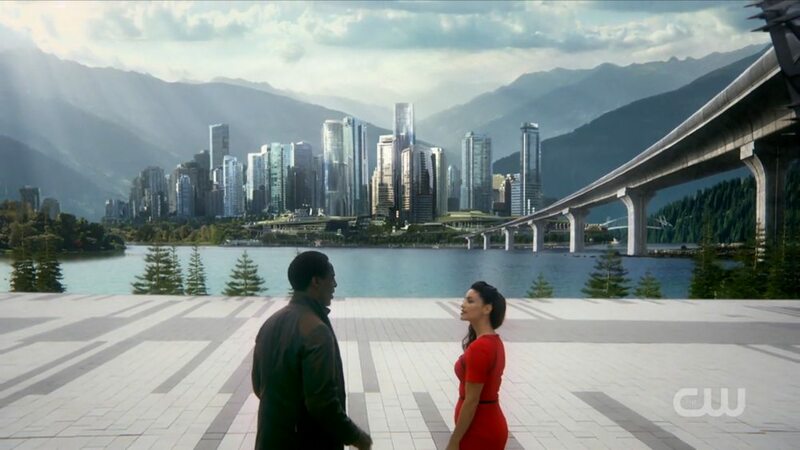 Will we get a brand new credit sequence to reflect the new world and ‘Book 2’ of The 100? Is there, in fact, more to life than just surviving? Will our heroes figure out how to “be the good guys”? There are just 125 of my many burning questions for The 100 season 6! Believe it or not, it was hard to narrow it down. What are you most looking forward to finding out next season? ‘The 100’ season 6 premieres in 2019. Seasons 1-5 are on Netflix now!